1. 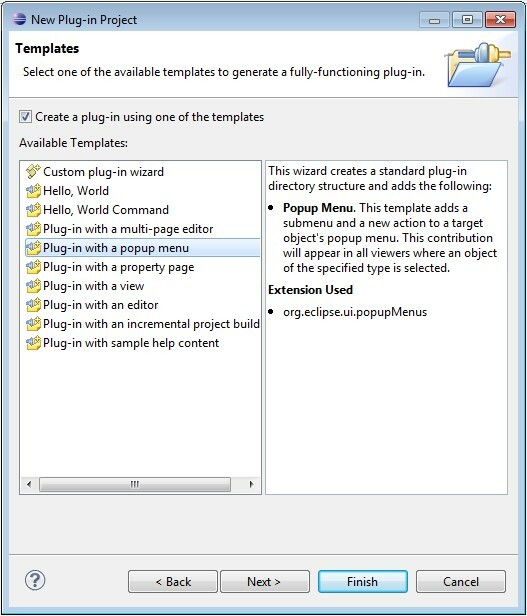 What the popup menu looks like in an eclipse editor? 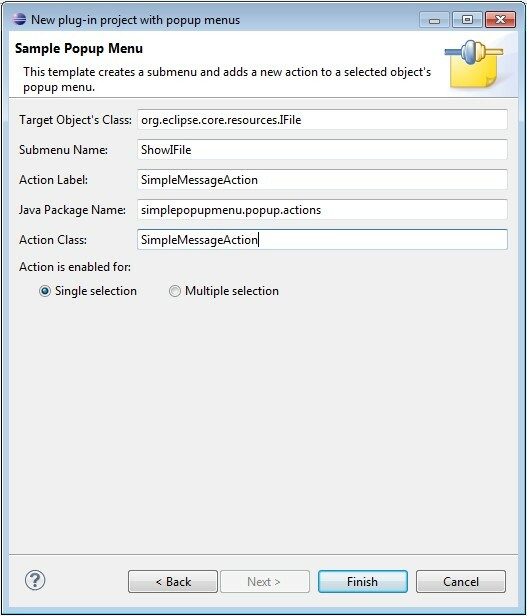 The following are snapshots of every step involved when creating a popup menu by using PDE. 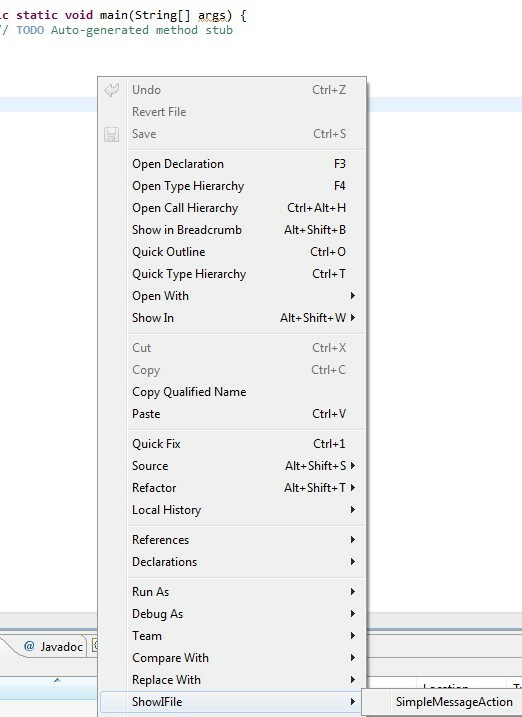 The objectContribution make the menu appear in a popup menu for views or editors. 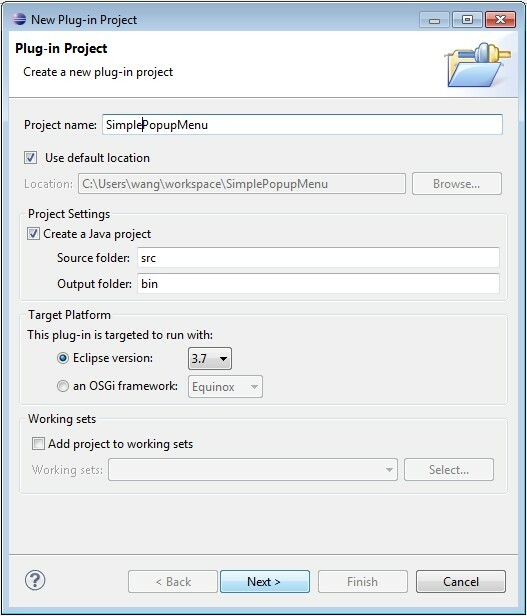 In this example, objectClass="org.eclipse.ui.IEditorInput" make the popup menu appear in an editor. When you run the plug-in now, the snapshot shown at the beginning is shown up. As it is configured in the xml file above, when the menu item is clicked, the workbench will run the specified class - SimpleMessageAction. Because the popup is declared as an objectContribution, the supplied class must implement IObjectActionDelegate. In this example plug-in, it should shows a simple message. Instead of doing nothing useful, let's change the SimpleMessageAction.java class and make it do something useful. Let's get the selection information of text. If you run the plug-in now, the following will show up. 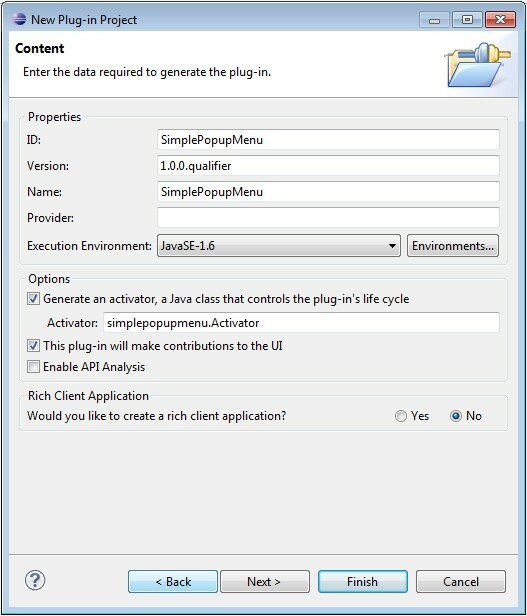 The org.eclipse.ui.editors and org.eclipse.jface.text plugins contain the AbstractTextEditor and ITextSelection classes; be sure to add those plugins in the Dependencies tab of your manifest.